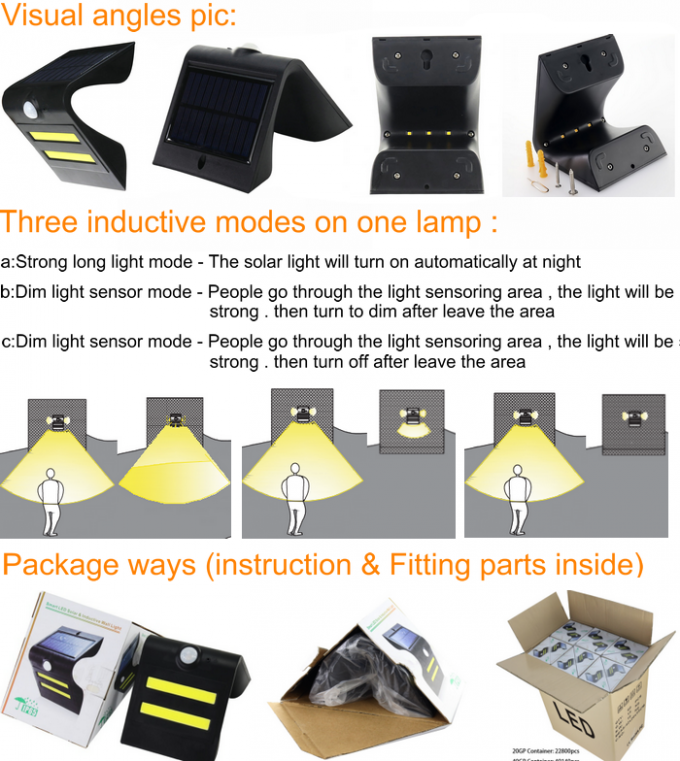 6) With PIR sensor, the distance is 0-8M. 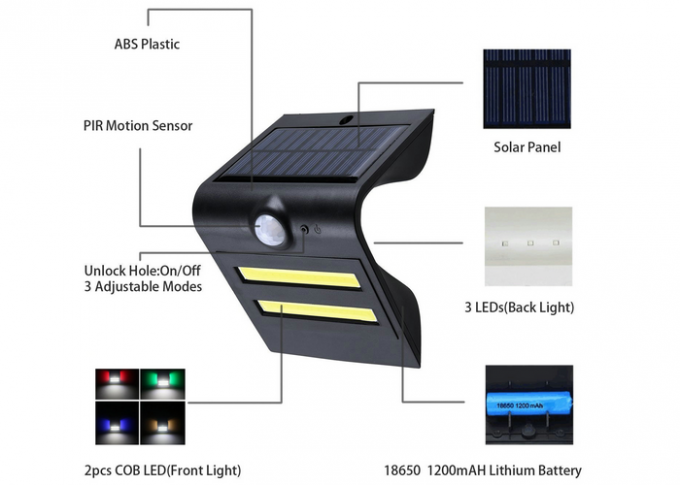 Simply expose it to sunlight during the day and it will charge by itself, providing your porch, garage or garden with up to 12 hours of illumination during the night-time – and with no power bills! They can be stuck to almost all kinds of walls. 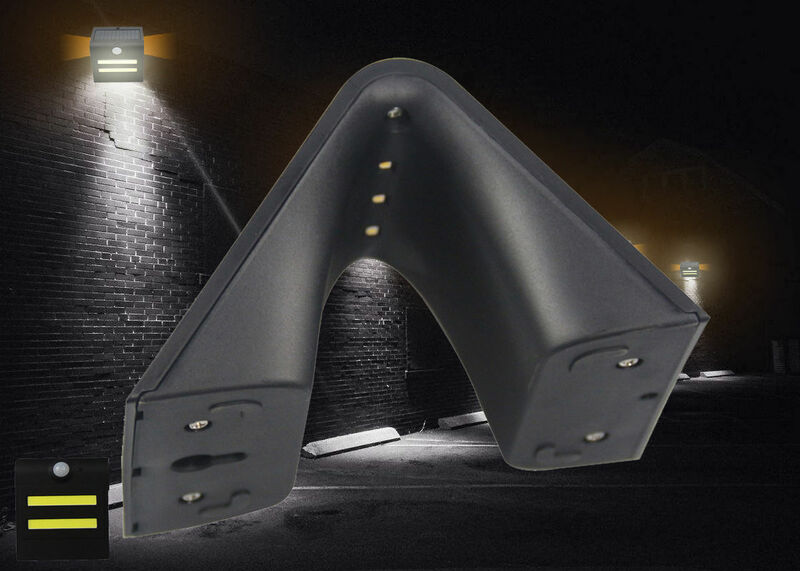 Whether you have brick, wood, metal, or glass walls, you can be sure that the lights will stick securely. If you have doubts, you can opt to use screws and a hinge to mount them instead. No need to deal with pesky wires. 1 piece per gift box and 40 pieces per carton, welcome customized.